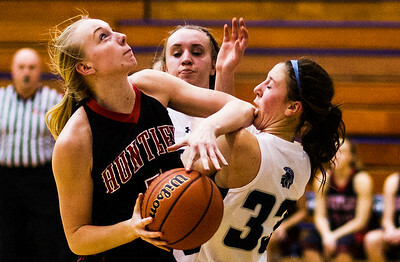 Kyle Grillot - kgrillot@shawmedia.com Huntley's Kaitlin Costantinois (left) is fouled by defended by Cary-Grove's Jennifer Pilut during the third quarter of the girls basketball game Wednesday in Cary. Huntley beat Cary-Grove, 45-31. 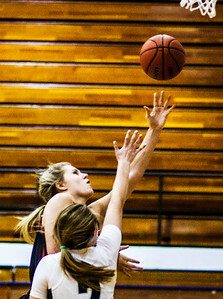 Kyle Grillot - kgrillot@shawmedia.com Huntley's Ali Andrews (left) puts up the ball defended by Cary-Grove's Kaitlyn Barker during the fourth quarter of the girls basketball game Wednesday in Cary. 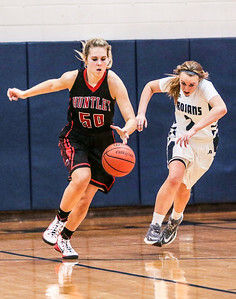 Huntley beat Cary-Grove, 45-31. 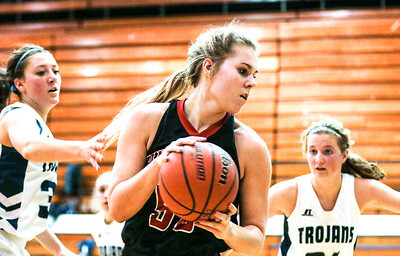 Kyle Grillot - kgrillot@shawmedia.com Huntley's Ali Andrews (center) looks for an open teammate defended by Cary-Grove's Jennifer Pilut and Katie Sowa during the fourth quarter of the girls basketball game Wednesday in Cary. Huntley beat Cary-Grove, 45-31. Kyle Grillot - kgrillot@shawmedia.com Huntley's Kaitlin Costantinois (left) jumps to block the shot of Cary-Grove's Abby Getka during the fourth quarter of the girls basketball game Wednesday in Cary. Huntley beat Cary-Grove, 45-31. Kyle Grillot - kgrillot@shawmedia.com Huntley's Ali Andrews dribbles the ball defended by Cary-Grove's Kaitlyn Barker during the fourth quarter of the girls basketball game Wednesday in Cary. Huntley beat Cary-Grove, 45-31. 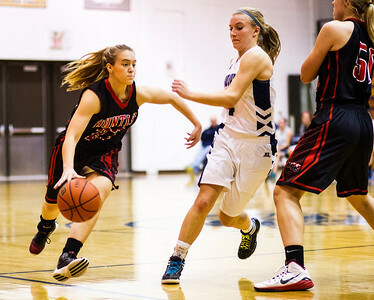 Kyle Grillot - kgrillot@shawmedia.com Huntley's Jessica Brock (left) dribbles up the court defended by Cary-Grove's Kaitlyn Barker during the fourth quarter of the girls basketball game Wednesday in Cary. Huntley beat Cary-Grove, 45-31. 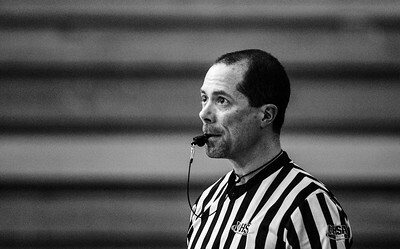 Kyle Grillot - kgrillot@shawmedia.com IHSA referee Peter Meehan of Gurnee watches a free throw during the fourth quarter of the girls basketball game between Cary and Huntley on Wednesday in Cary. Huntley beat Cary-Grove, 45-31. 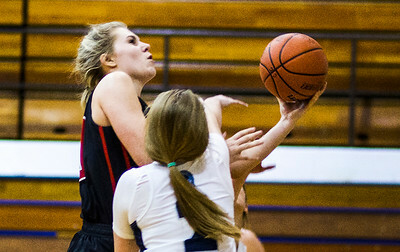 Huntley's Ali Andrews (left) puts up the ball defended by Cary-Grove's Kaitlyn Barker during the fourth quarter of the girls basketball game Wednesday in Cary. 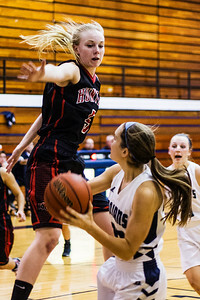 Huntley beat Cary-Grove, 45-31.